Do you have securities such as insurance policies, mutual funds, direct stocks, fixed maturity plans, exchange traded funds and savings bonds? If yes, did you know that you can pledge these securities and get a loan in case you are in need of it? The amount and the interest rate can vary from bank to bank and the loan is offered as an overdraft facility. Some banks allow you to take the loan online. To take loan against shares you may need to have a demat account with the bank. State Bank of India (SBI) allows you to take a maximum loan of₹20 lakh and a minimum of ₹50,000 and the loan-to-value ratio is 50% of the value of the shares. In case of mutual funds, you will get loan on up to 50% of the net asset value, according to ICICI Bank Ltd. In case of life insurance policies the minimum amount is ₹50,000 and the maximum amount is ₹5 crore. To take a loan against securities, along with the securities that you want to pledge, you also have to provide identity proof, address proof and signature. Most banks allow you to take loan against securities and it comes at a cost. The interest rate varies based on the security and the bank. For instance, SBI currently offers interest rate of 10.95% on loan against shares, mutual funds and dual advantage funds. 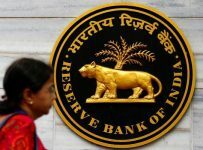 For loan against sovereign gold bond, the interest rate is 10.45% whereas for loan against national savings certificate, Kisan Vikas Patra, RBI relief bonds and insurance it is 13.10%. Besides the interest rate, you have to pay annual maintenance fee, processing fee, stamp duty, credit information company charges, prepayment charges and other fees. For example, HDFC Bank Ltd charges annual maintenance charge of up to 50 basis points for equity, debt, non-convertible bonds and bonds with a minimum cap of ₹1,000 and maximum of ₹5,000. In case of processing charges, you may either have to pay a flat fee or a percentage of the loan amount. For instance, ICICI Bank charges a nonrefundable processing charge of₹3,500 plus goods and services tax (GST) or 0.25% of the loan amount will a cap of a minimum amount of ₹5,000 plus GST. Ideally you should save first and then spend. However, if you are in a situation where you need money and have to take a loan, you should first evaluate the options that are available. Look for loans with lower interest rates. For instance, credit cards if you don’t pay during the grace period, will cost you 22-44% in interest. In case of personal loan it can range between 12-24% per annum. 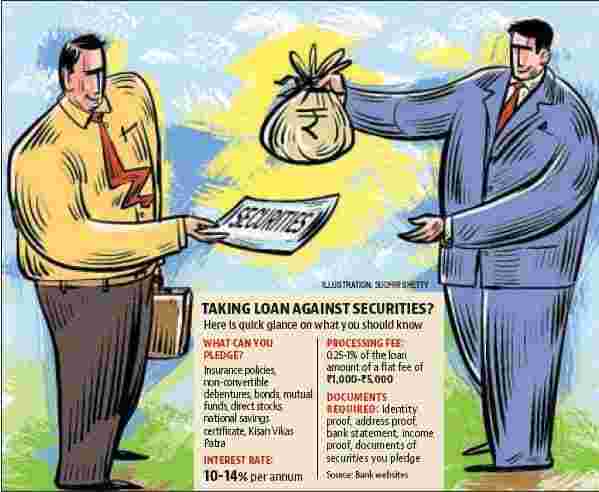 If you opt for loan against securities, it will be in the range of 10-14% per annum. Hence, it would make sense to go for loan against securities if you have the option. 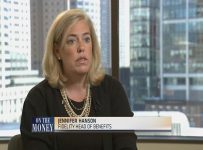 “Loans should be your last resort. Once you have decided to opt for a loan, you should shop for the cheaper options available to you. Secured loans such as loan against property and loan against securities will be cheaper than unsecured loans such as personal loan and credit card. In situations where the securities are giving lower returns than the loan you are taking, logically you should sell it. 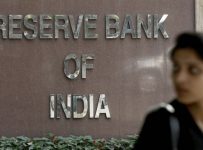 However, it will depend on case-to-case basis,” said Melvin Joseph, a Sebi-registered investment adviser and founder of Finvin Financial Planners.